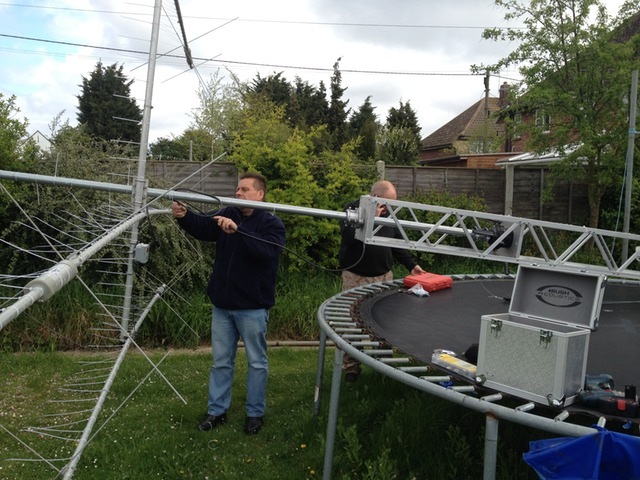 I’ve mentioned a couple of times recently that I’d ordered a replacement aerial and it was delivered on Friday. I bought a G3TXQ designed Broadband Hexbeam, from Ant, MW0JXE. Ant manufactures these on demand and so therefore there’s a waiting list, it took around six weeks from order to delivery but it was well worth the wait. The quality of the product is superb, an absolute breeze to put together. 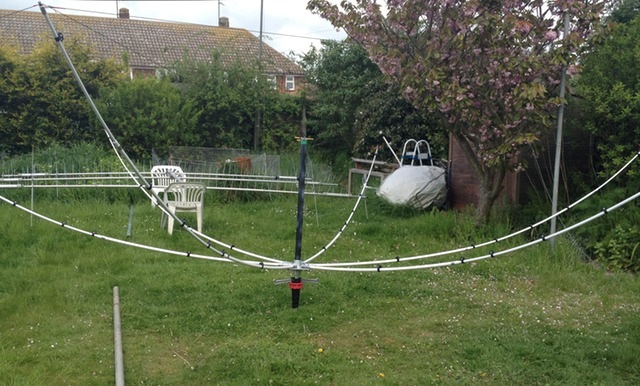 On Friday evening I unpackaged everything and finished off the assembly of the centre section along with putting all the spreaders together so that the time taken to get it all up on Saturday would be minimised. I met with Colin, M1EAK and Chris, M6GSD at a local café on Saturday morning where we had an ‘aerial riggers breakfast’, effectively a fry-up washed down with mugs of coffee. 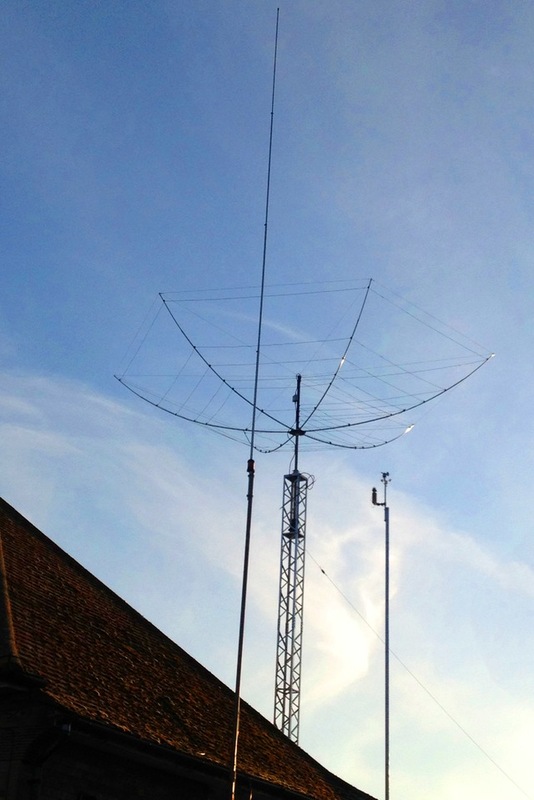 To start with, we lowered my Alimast and removed the MA-5B along with the existing stub mast. 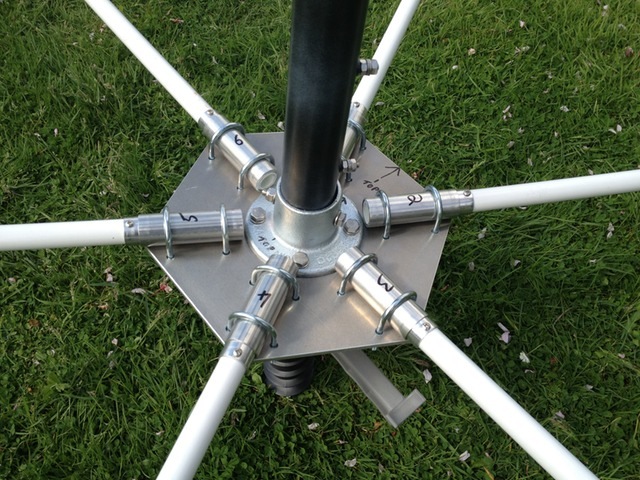 The Hexbeam requires a scaffold pole sized mast and the stub I was using was a 2″ steel pole so therefore unsuitable. We then stood the centre piece of the Hexbeam in a ground anchor (that I’ve previously used to fix a portable mast) and started building it. All the spreaders were slotted in place and then fixed using the support cords. 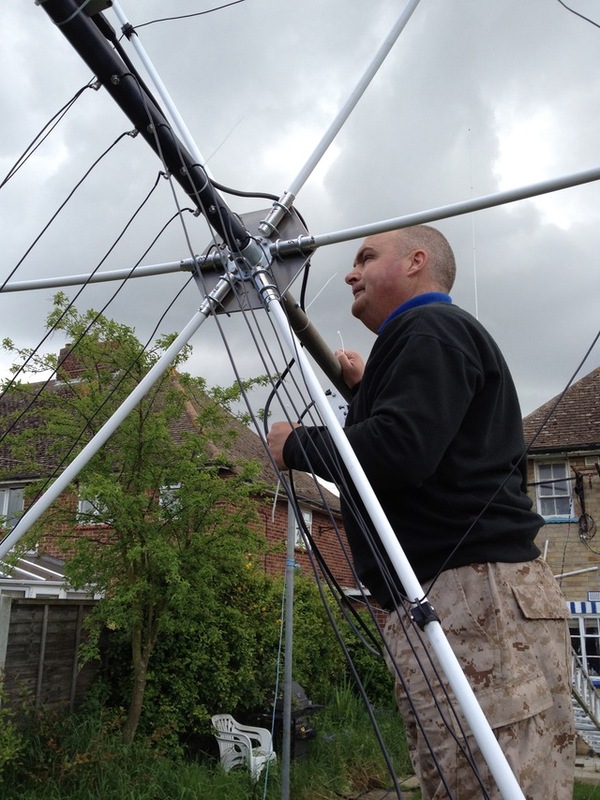 With the Broadband Hexbeam fitted to the replacement stubmast all we had to do was raise it up into the sky. Here’s how it looked against the overcast sky. Fortunately the weather has cleared a bit since and I’ve been able to take a picture of it looking much nicer from the front of the house. 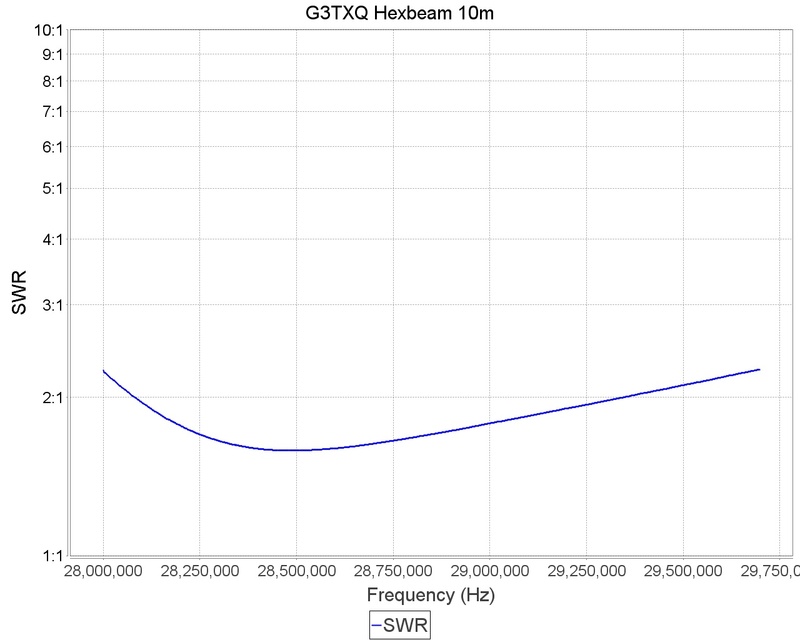 The total procedure of taking down the MA-5B and replacing it with the Hexbeam took less than two hours and I was all ready in time for the start of the VOLTA RTTY DX contest. The Hexbeam also has much lower visual impact than the Cushcraft did, despite the fact that the Hex is physically larger. 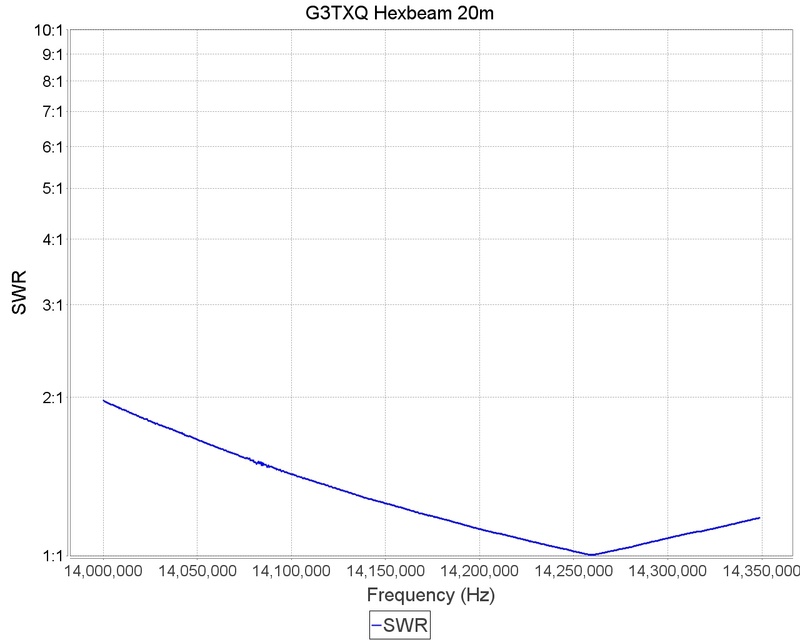 One of the reasons for changing aerials was so I could benefit from the wider bandwidth on 20m so the first thing I did was to run the analyser over the new beam, here are the results. Exactly what I wanted! I can operate over the whole of all the six bands it covers without having to use an ATU and if I wish, I can also use the amplifier. 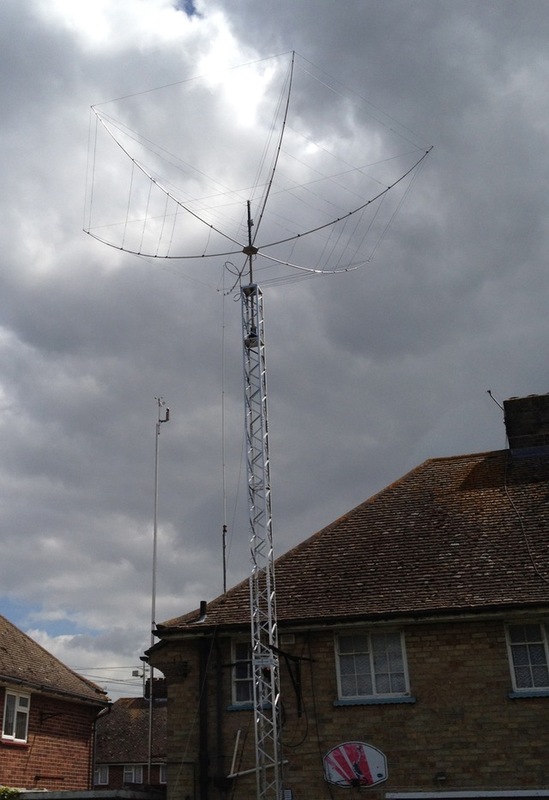 It’ll be interesting to have an external aerial for 6m for the first time. HF conditions this weekend haven’t been great so I’ve not been able to check the aerial fully but everything appears to be working well. Not including the couple of hundred QSOs I had in the aforementioned RTTY contest I’ve also worked Brazil, Somalia, Uruguay, Svalbard, Saudi Arabia, Greenland, Ecuador, Cuba, Mexico and Palestine. 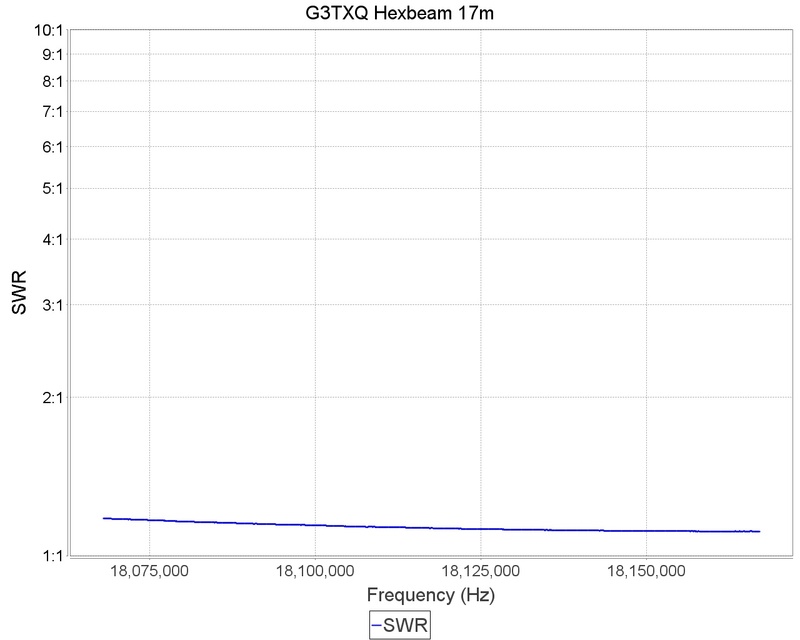 Oh and I got my final slot with 7O6T, 10m CW! 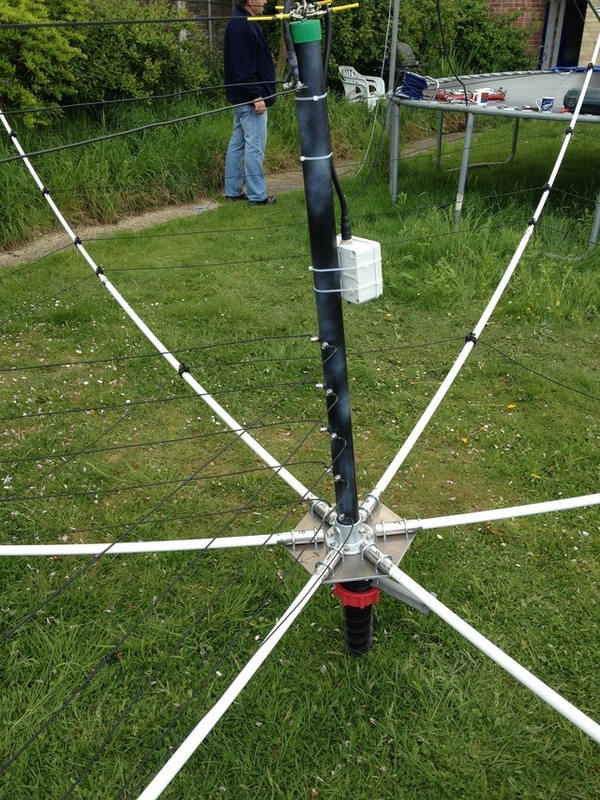 This entry was posted in Amateur radio and tagged Broadband Hexbeam, cushcraft ma-5b, Hexbeam. Bookmark the permalink. 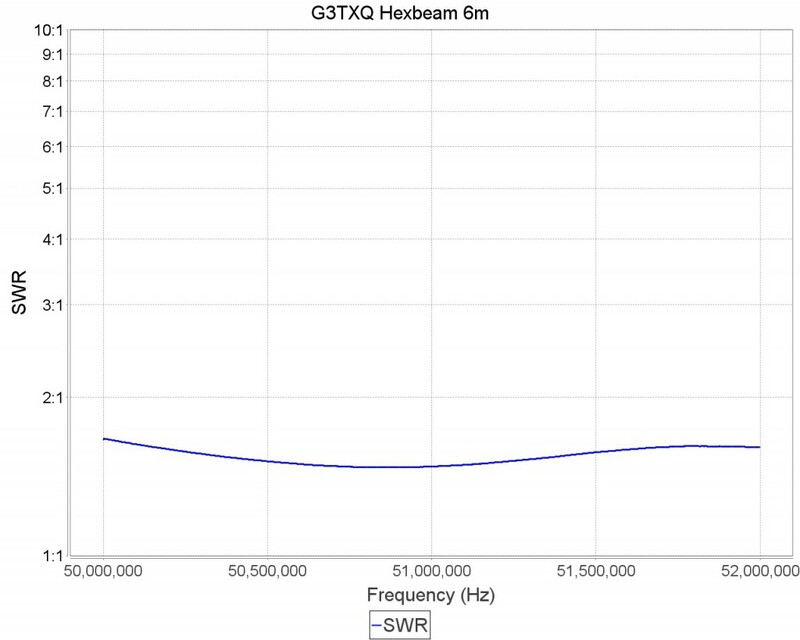 I look forward to hearing how you get on – I have an MA5B and am strongly thinking of replacing it with a hexbeam. 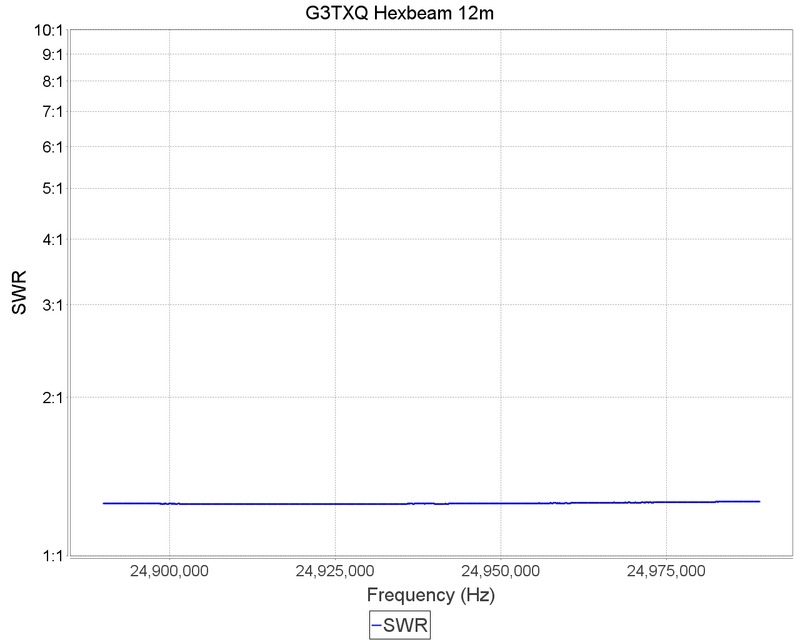 So how on the air hexbeam, compare with your old ma5b? Any better? Significantly better! It was a good upgrade. Looking at other plots around the web, I expected a better swr on 10m; did you try at different heights, or beaming it in other directions? Hi Marco, no I didn’t try the antenna at different heights and the direction makes little difference. However I do have a 10m vertical fairly close and I suspect that’s what’s causing the slightly high SWR. It’s certainly useable though.